It is always a good idea to keep experimenting with newer trends of marketing and advertising. Since being present on social and digital media to market a brand has become quite necessary these days, there are still some trends and methods of marketing which won’t become history. A flyer is one of those marketing materials which are still considered to be extremely effective and worth all the efforts. Ensure that you create designs by choosing different colors and elements so that there are multiple options present. And of course once the design and layouts are finalized, you can have it approved by your Creative and Brand teams and the printer will take it from there for you. Flyers are easy to read and can help the potential customer grasp the information in one go. With flyers, you can reach a large number of audience, especially that group of consumers whose attention you couldn’t get before. Flyers happen to be one of the most affordable marketing materials to have printed and distributed among the masses. They are also easy to design and produce in a bulk quantity. You can not only make sure that your audience is giving you attention, you can also have a coupon attached to the flyer as an incentive. 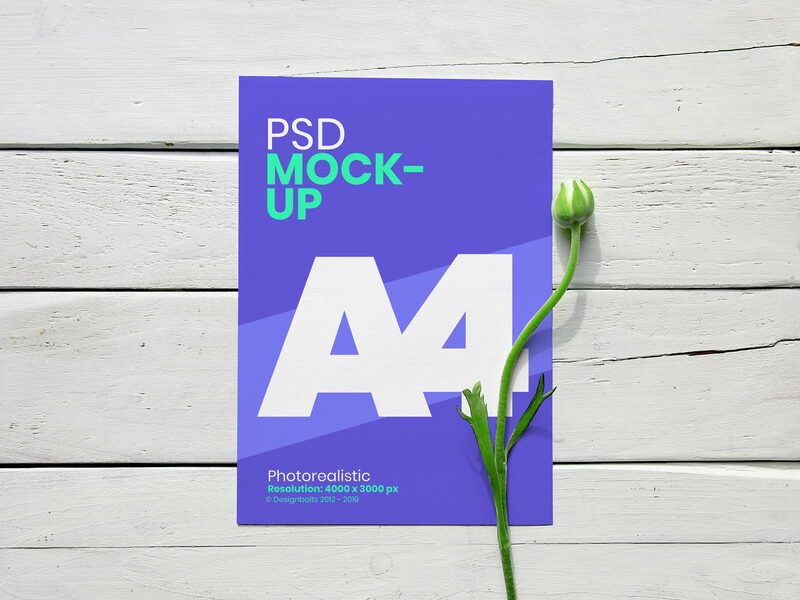 So, if you are planning to advertise through flyers, feel free to download our A4 mock-up PSD and create eye catching flyer presentation in no time.